Madison, along with her sister-in-law Kathleen Hill, received a bible study from two ladies in our church. Madison saw her need to get baptized in Jesus Name. Sandy is the mom to Michael and Madison Hill. 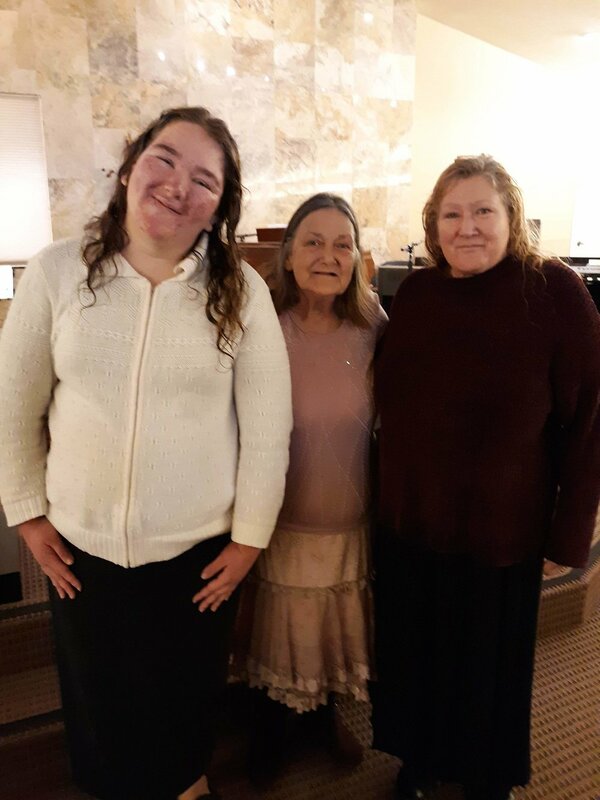 Both Madison and Kathleen told her about baptism in Jesus Name and she wanted to make sure she was baptized correctly, also. 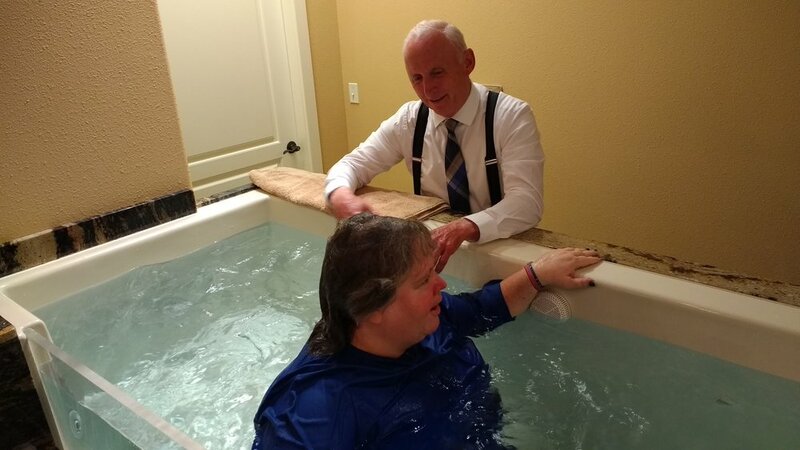 Through bible studies with two of our ladies in our church, Kathleen saw that she needed to get baptized in Jesus Name. 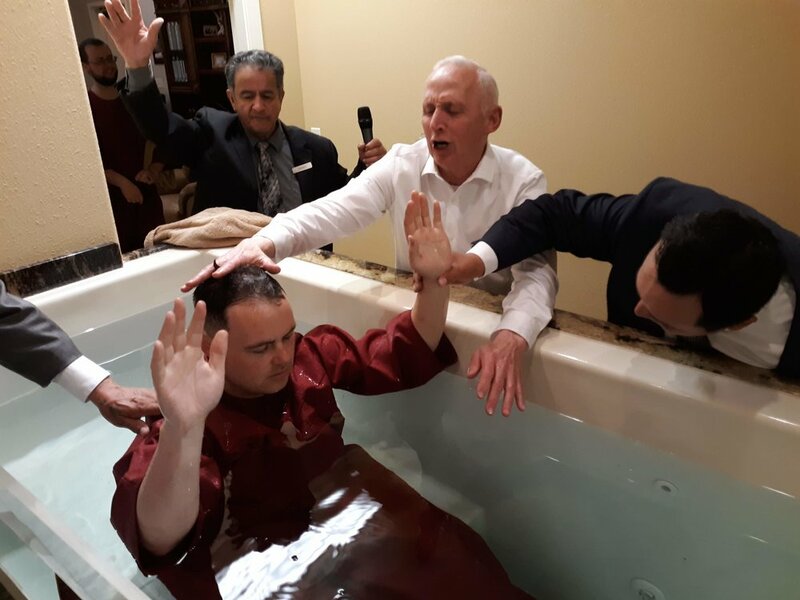 Peter has been having Bible Studies with two men in our church and when he saw the need to get baptized in Jesus Name, he said “what does hinder me, I need to get baptized”. When Peter came up out of the water, God filled him with the precious gift of the Holy Ghost. God is so good. Janet and her daughter Marie, after being given bible studies by Sis. Kitty, saw the need for baptism in Jesus Name. Thank you, Jesus. The joy of being washed clean. Thank you, Jesus! After receiving Bible Studies from Sis. 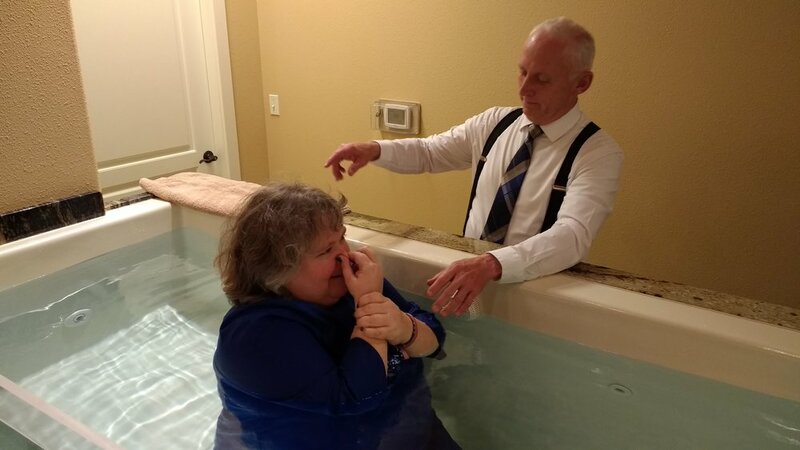 Sandy, Annie saw the need for getting baptized in Jesus Name. Annie came up out of the water and God filled her with the power of the Holy Ghost. Praise God! What a day of rejoicing. Dallas received the baptism of the Holy Ghost at home while praying. 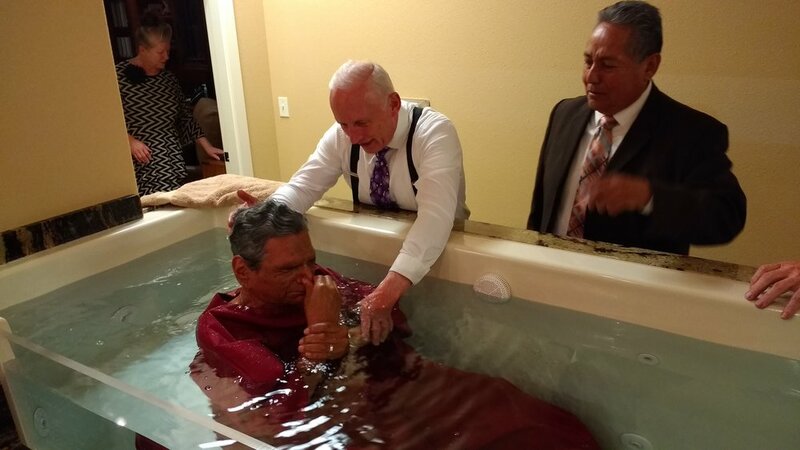 He knew that once he got the Holy Ghost he needed to be baptized in Jesus Name. So on Sunday Morning, July 15, 2018, Dallas was baptized in the beautiful name of Jesus. Family friends - The Harsh Family along with his parents and brother. In Bible Studying with Sis. 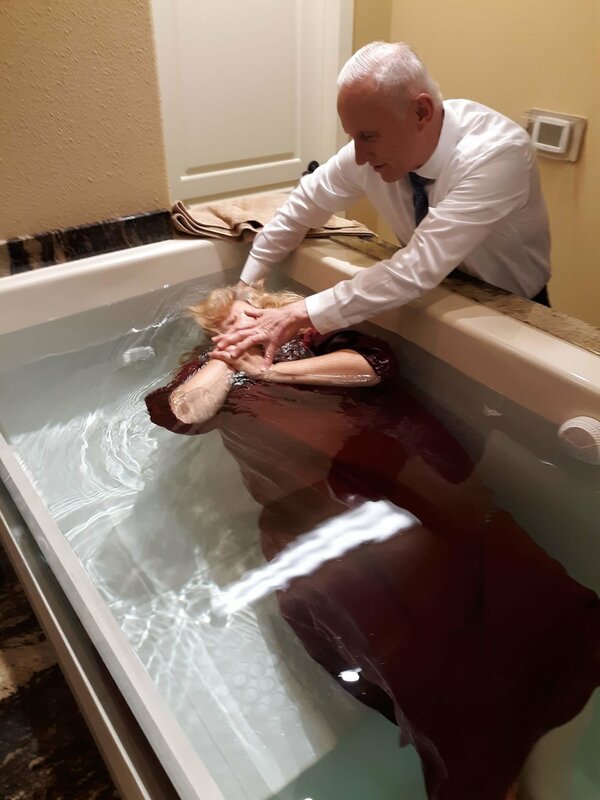 Loretta, Dale saw the need to get baptized in Jesus Name. Thank you Jesus! Going down into the water in Jesus Name! 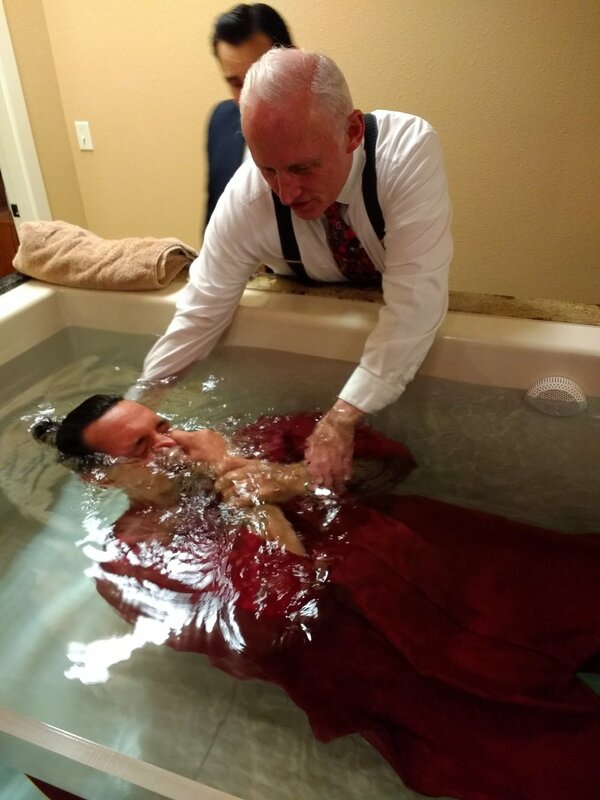 Jessica saw the need to be baptized in Jesus Name. Praise God! Anthony saw baptism in Jesus Name, One God and the need for the infilling of the Holy Ghost. Praise God that Anthony and the others below, have chosen to obey God's Word. 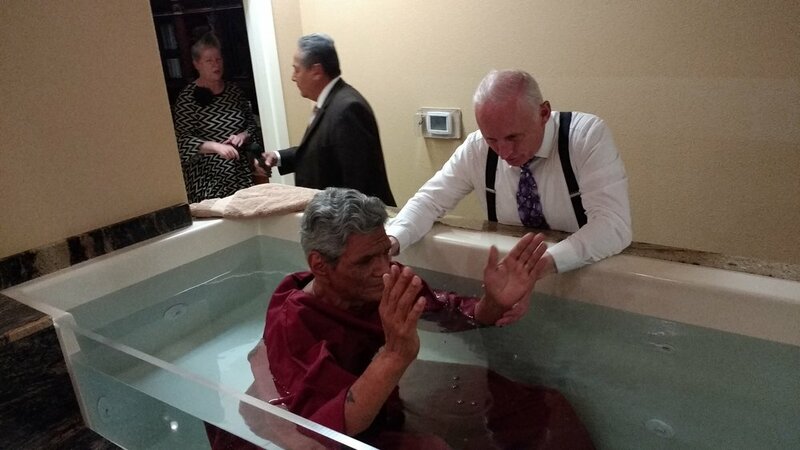 Anthony, also, has seen the need to be baptized in Jesus Name and believes there is only one God. Glenda, wife of Brad, sees the need for baptism in Jesus Name. 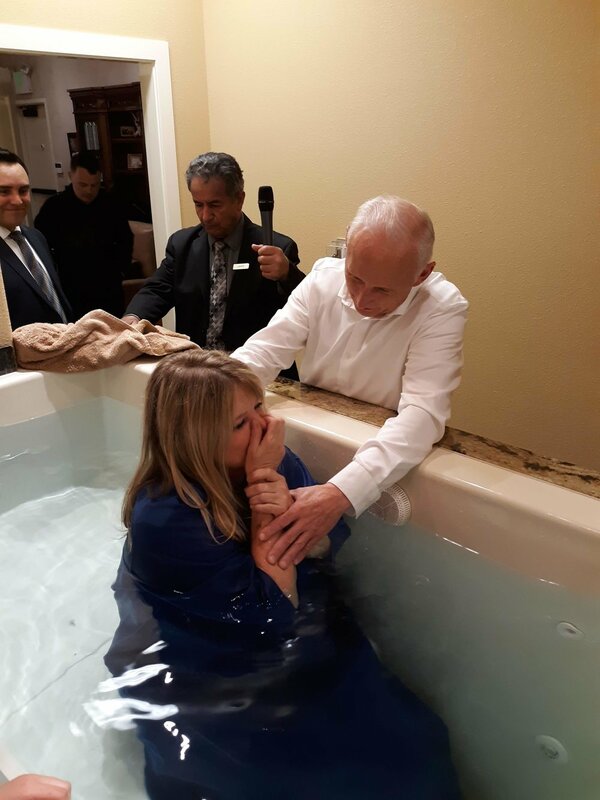 Glenda also received the baptism in the Holy Ghost when she came out of the water. Praise Jesus! Brad has been searching for a church that teaches One God and baptizes in the name of Jesus. 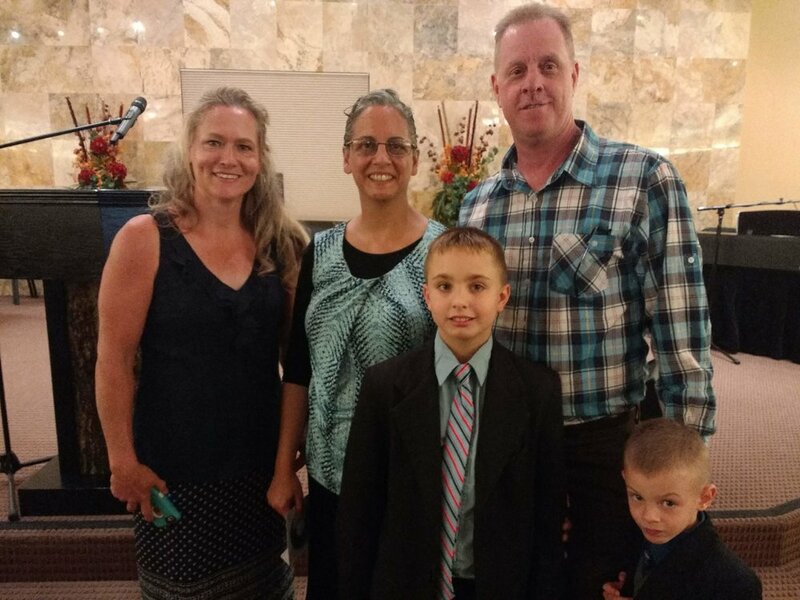 Brad found our church's website, and brought his wife and his two friends to one of our services. After hearing the anointed preaching by Pastor Ron Green, after service was over with, our pastor talked with Brad, his wife, Glenda and their friends Anthony and Tony. All wanted to be baptized in the precious name of Jesus. Kiana was drawn to our church by God. No one invited her, she just showed up. She took numerous tracts home after her first morning visit and read through them all. She returned that night and one of our sisters asked if she wanted a Bible Study. 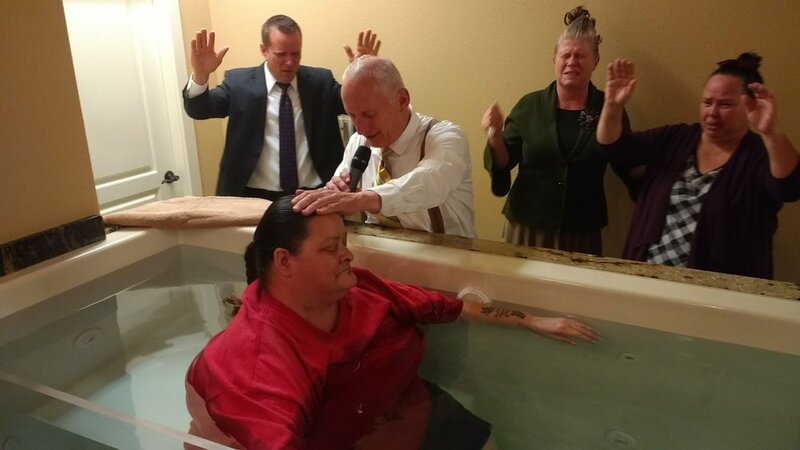 She again, came on our Tuesday night service, and even before her Bible Study she knew she needed to get baptized in Jesus Name. She was given a Bible Study and saw the complete plan of salvation. On the following Sunday morning during altar service, God filled her with the Holy Ghost. She then got baptized in the precious name of Jesus. We have not seen such hunger in one person in a long time. Thank you Jesus! Sis. Kiana could not wait to get home and get her certificates framed! God revealed to Angie, during the Bible Study that was being given to her, that she needed to be baptized in the wonderful name of Jesus. We are trusting in our Lord and Saviour, that God will fill her with the Holy Ghost soon. Andrew seeing his need to get baptized in Jesus name, obeyed God's Word and was baptized Sunday night on July 30, 2017. Praise God! 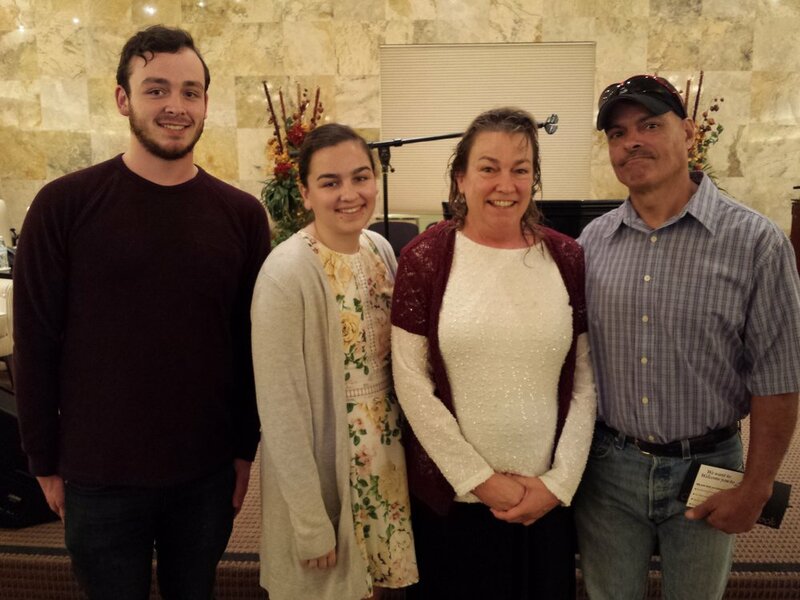 Through a Bible Study from one of our sisters, Beth saw the need to get baptized. She obeyed God's Word and chose to be baptized in the name of Jesus Christ. Must needs plug those nose. Water on the outside, not on the inside!